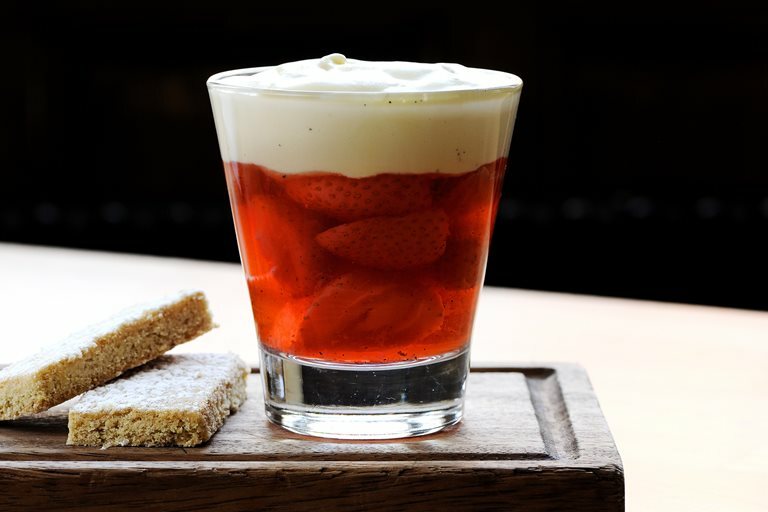 This poached strawberries recipe creates a divinely English dessert from Tom Aikens featuring some great summery ingredients. This strawberry dessert includes a recipe for shortbread, which is a fantastic complement to the strawberries, though not essential to the dish. For more summer desserts, view our summer dessert recipe collection.